The Linux Terminal, as shown in Pic 1, is similar to the Windows Command Prompt. 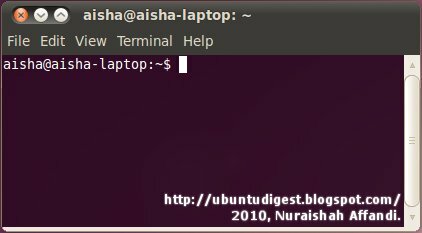 The Terminal can be accessed from the panel as shown in Step 1 of Using Terminal in this post: How to update Ubuntu using Terminal or Update Manager. Pic 1 - Linux Terminal. The Terminal can also be accessed using a shortcut in the context menu (right-click menu) by right-clicking the mouse, or pressing the menu key on the keyboard. 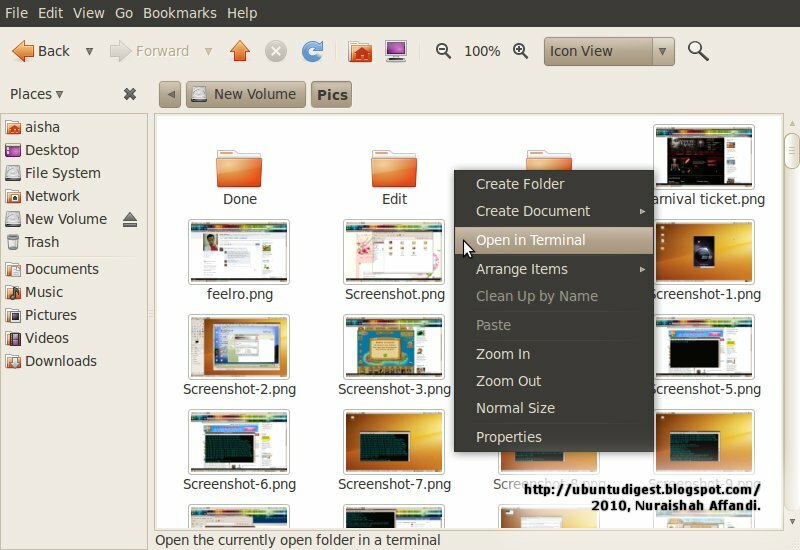 In the context menu, the shortcut to the Terminal is labeled as "Open in Terminal" as can be seen in Pic 8. To be able to use this shortcut, the Terminal shortcut needs to be added to the menu first. How to add it? 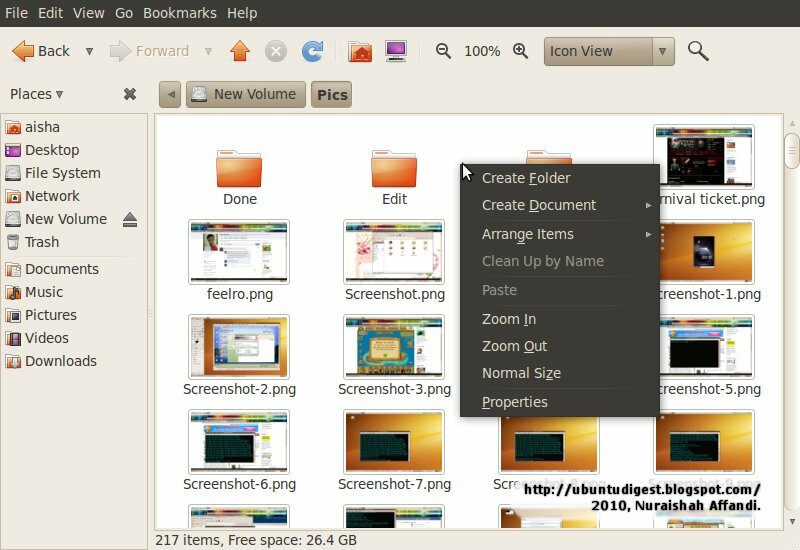 The simplest and safest way to install is via the Ubuntu Software Center. 1. Run the Ubuntu Software Center. From the panel, click Applications > Ubuntu Software Center. Refer to Pic 2. Pic 2 - Refer Step 1. 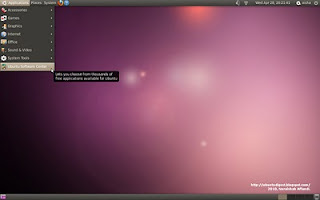 Accessing Ubuntu Software Center from the panel. 2. 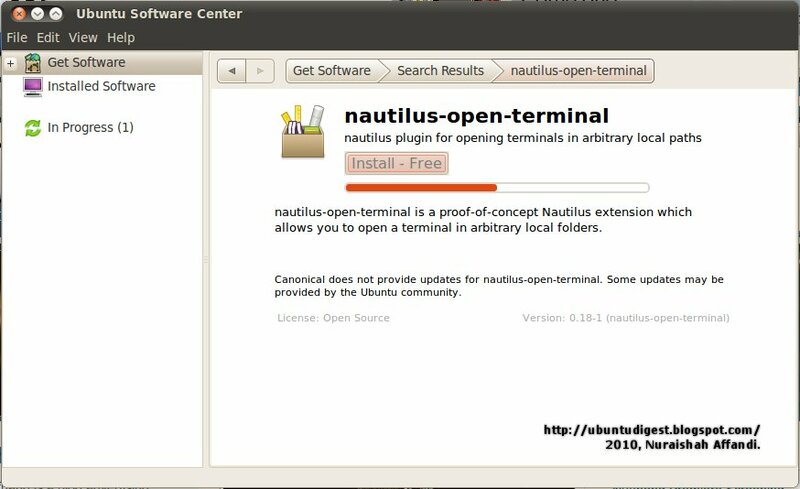 Type "nautilus open terminal" in the search field. The auto-filtered results will be displayed instantly. 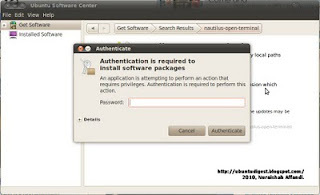 Select the "nautilus plugin for opening terminals in arbitrary local paths". Then click the More Info button. Refer to Pic 3. Pic 3 - Refer Step 2. Ubuntu Software Center displaying the auto-filtered results according to the search term "nautilus open terminal". 3. 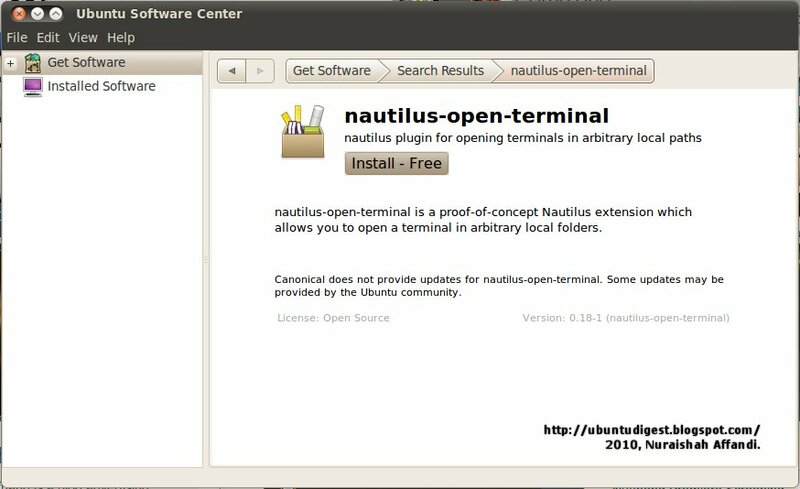 To install the nautilus-open-terminal, simply click the Install - Free button. Pic 4 - Refer Step 3. Click the Install - Free button to install the nautilus-open-terminal. 4. If a security window as shown in Pic 5 pops-up, type in your security password then click the Authenticate button. Otherwise, ignore this step. Pic 5 - Refer Step 4. Authenticate. 5. 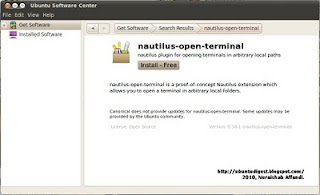 The nautilus-open-terminal installation process is shown in Pic 6. Once the process is complete, reboot (restart) your laptop for the installation to take effect. Pic 6 - Refer Step 5. The nautilus-open-terminal installation in progress. 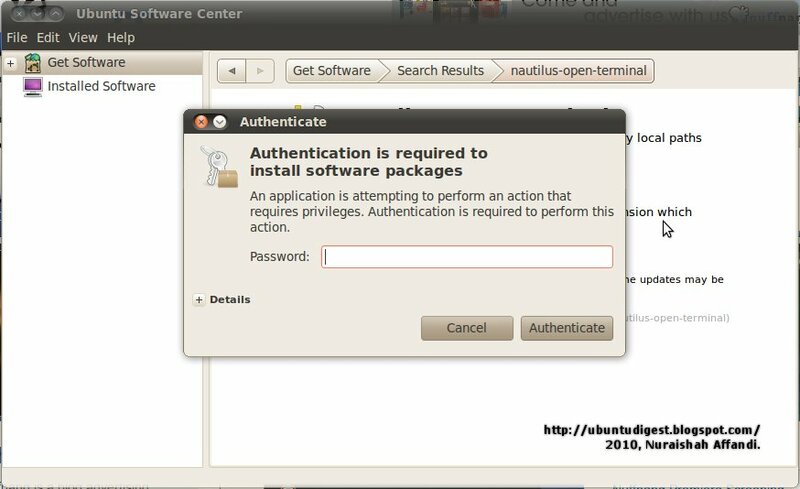 How to restart nautilus without logging out? "Then just open Nautilus and Open in Terminal is in the context menu" --Brian. Pic 7 shows the absence of the Terminal shortcut in the context menu. This is after the installation is complete, but before rebooting. Pic 7 - Refer Step 5. The context menu before rebooting. 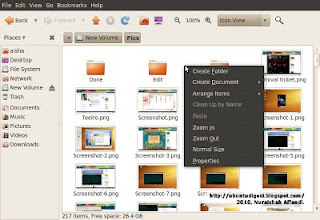 Pic 8 shows the presence of the Terminal shortcut in the context menu, indicated as "Open in Terminal". Pic 8 - Refer Step 5. The context menu after rebooting. The shortcut to the Terminal is indicated as "Open in Terminal". Thank you so much! The tutorial worked perfectly! Thank you very much for your help :). As i didn't try it out, i'll have to take your word. And the post has been updated with part of your comment in it. Hope that's OK.
i donot have internet so can i download this terminal from another computer and install it on my computer? 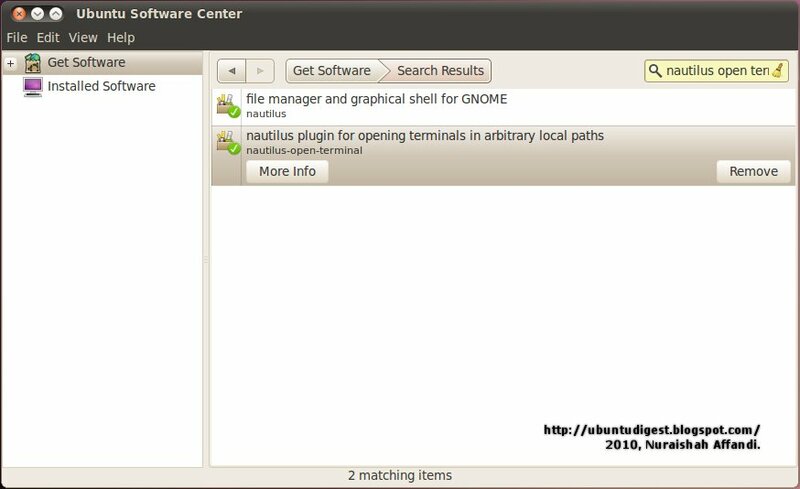 Find the build for your Ubuntu, here: “nautilus-open-terminal” package in Ubuntu. Download then install the package. Login is not needed. Should there be any bugs from this Terminal, that's where to report them. You'll need to create a Launchpad account in order to file the bug.